With Target + Response, your radio advertising cost is up to 80% lower than the “street rates” charged to the biggest traditional radio advertisers. This makes radio advertising time cost effective for direct response (D.R.) marketers seeking consumer-based sales leads. In a full national rollout, Target + Response can deliver over 25 million gross impressions a week on 250+ radio stations in the top 75 markets. This significantly lifts the exposure of your brand and complements your other marketing efforts. We are specialists in Radio Per-Inquiry advertising. This means that you pay for D.R. radio time based on the number of sales leads that are generated, not by the number of spots that air. Your cost per inquiry is always fixed, whether you generate a large number of sales leads or just a few.We’ve proven to direct response marketers that sales leads generated from D.R. radio advertising can be as qualified as those from direct mail and other print media, and are oftentimes better than those from DRTV. 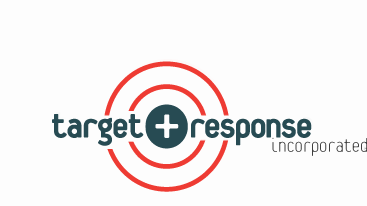 Target + Response is recognized as the radio industry’s leader in PI advertising. Since 1987, we’ve made radio direct response advertising highly successful for a variety of prominent consumer-based businesses. We do this by generating hundreds of thousands of sales leads, increasing brand awareness, and acquiring radio advertising time at a much lower cost than top advertising agency media buyers can. Not only do we do our job well, but we also strive to make your radio direct response experience a pleasant one. Target + Response has the culture, experience and systems to execute successful pay-per-lead programs. If you have a national sales territory, use inbound telemarketing and want to make radio direct response advertising affordable, contact us right now!